Readers choose their lake-area favorites in our 2016 Best of Lake Minnetonka contest. Whether you’ve lived in the Lake Minnetonka area for five months or 50 years, you know it’s a beautiful—and interesting—place to call home. Our communities have it all: Natural beauty and opportunities to explore the outdoors; great schools and a family-friendly culture; active local governments and organizations that keep our cities clean, healthy and active; blossoming indie shops, eateries and other small businesses; and endless places to experience—and participate in—the arts. But you already know all of that, dear readers. In fact, thanks to you, we’re able to present this annual list of your favorites: the best of Lake Minnetonka. Last fall, you voted for your favorite businesses and individuals in 38 categories, and we’re pleased to highlight the winners and runners-up here. What if you’re brand-new to Lake Minnetonka? Maybe you recently moved to the area, or are in town for the weekend to visit family or friends. Welcome! We like to think of our annual Best of Lake Minnetonka feature as the ultimate visitors’ guide. After all, who better to recommend places to eat, drink, shop, relax and explore than the locals? Now what are you waiting for? Stick this magazine in your bag, put on your walking shoes, and get ready to hit the town (or the trails). We’re happy you’re here! With fine dining, irresistible popovers, fried cinnamon rolls and a good cold beer, this year’s top eats earned their votes with consistently delicious fare and exceptional service. 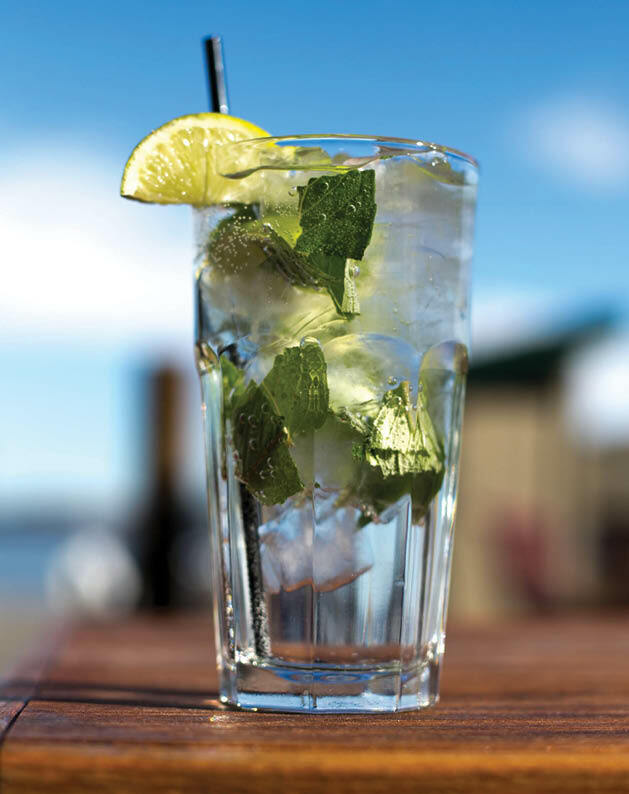 A burger, a nice breeze, and a view of the sunset: These are a few reasons why Maynard’s is Lake Minnetonka’s favorite spot for patio dining. 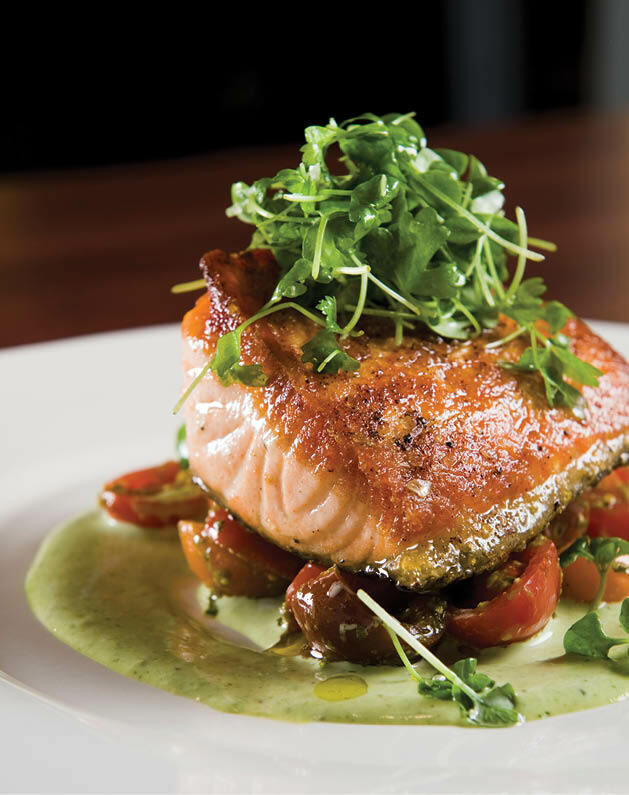 “We not only have the best views on the lake, but we offer a consistently high quality of food and service that keeps the locals and tourists coming back,” owner Jack Stevens says. Offering lakeside dining with an airy atmosphere and a nautical theme, CōV Wayzata provides an escape from everyday life. “Even if you’re sitting inside, it still feels like you’re outside; you really feel like a part of the lake,” manager Tom Anderson says. With walls that open up toward the lake and a large patio, CōV transports customers to an East Coast getaway in downtown Wayzata. Owner Dermot Cowley’s Irish accent adds to the authenticity of Jake O’Connor’s Public House, with an Irish pub feel. “Coming up on 10 years old, it feels like it’s been part of the fabric of Lake Minnetonka for 100 years,” Cowley says. “After you and I are long gone, there will still be people enjoying Jake’s taverns and bars.” Come out and enjoy a drink. Slainté! Wuollet Bakery produces delicious cakes, pastries and breads on a daily basis. “Wuollet Bakery especially appreciates the support of Lake Minnetonka-area residents. 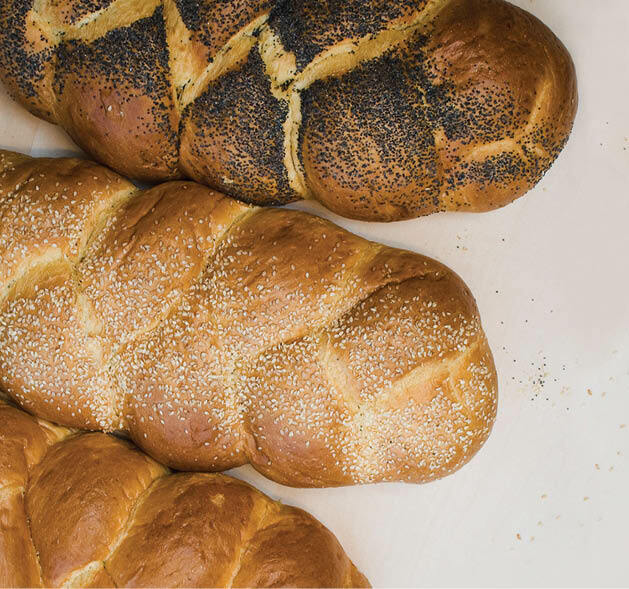 We wish to continue to offer fresh bakery goods in a neighborhood, friendly, personal environment,” co-owner Jim Jurmu says. When asked what makes Hazellewood a memorable breakfast spot, general manager Tim Breeggemann answers, “Our complimentary popovers with maple butter. But more or less, good food, and great service.” Managing partner Lori Frazier raves about the hash browns, and the overall fresh fare: “Everything at Hazellewood is made from scratch, and 95 percent of guests are loyal regulars,” she says. “It’s the best-kept secret you’re going to want to share.” Come for a popover, or the smoked gouda hash browns, and see if you can keep this local secret to yourself. Every day starts and ends at home, so it’s only fitting that Lake Minnetonka area residences are as charming and lovely as the scenery that surrounds them, and as comfortable as possible for the families who live there. Arbor Haus clearly sticks to their mantra of working with honesty and integrity in all that they do, making sure to loop customers in on every step of the remodeling process. “We are always grateful to be invited into our clients’ homes to help them transform rooms into superior spaces using their uniquely personal vision and style,” owner Nate Stangler says. Building homes as well as relationships, Stangler and his team have a reputation for befriending their clients during the remodeling process. Runners up: Shoreline Builders, Lecy Bros. Whether you envision a Mediterranean-style home makeover or ornate Christmas decor filling your entryway, the Manor House Interiors team can take it on. 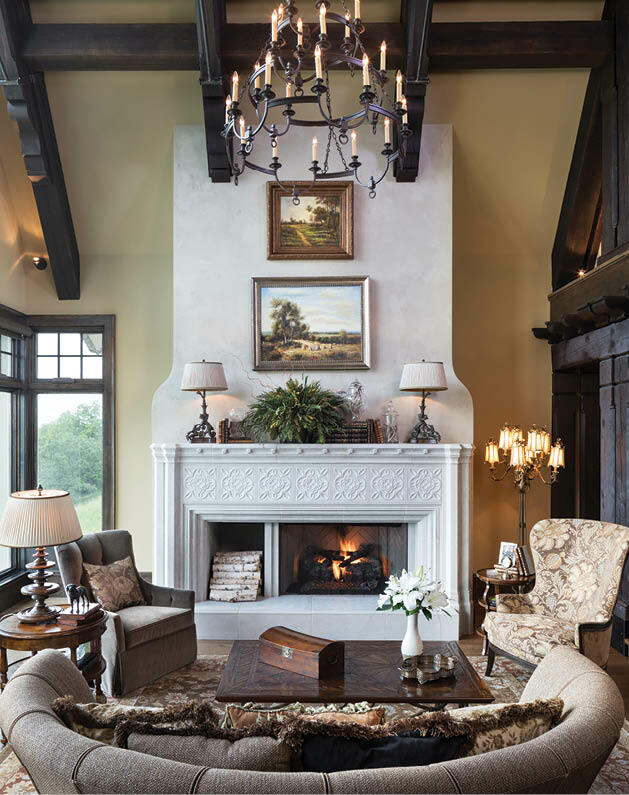 A full-service design firm, with offerings from accessorizing to construction, Manor House Interiors is accomplished in various design styles. While their work is beautiful, they also focus on functionality. A listening ear, a passion for people and a love for design drive Lora Marceau’s success. “I take the time to really listen to what clients need and I also give clients education on design, and what will be best for their home,” Marceau says. She’s been listening to client needs for the past 15 years, making her our readers’ favorite interior designer. Opening their doors in 1944, Abel Heating & Cooling Experts has an updated service plan and a more modern company van, but delivers the same devotion to customer service as when they started 70 years ago. Beginning to tinker with pipes at age 6, current owner Fred Ridler brings many years of experience and commercial training to the table, making Abel Heating & Cooling a trusted choice for locals in the Lake Minnetonka area. Located in the heart of downtown Wayzata, Folkestone’s new campus is spacious and luxurious, and offers a variety of amenities. “Location is a huge component for our residents,” campus administrator Mark Pederson says. “Residents have the ability to walk anywhere in downtown Wayzata outside or through the internal skyway system between our buildings.” With retail and dining in the same campus, Folkestone residents can also internally access groceries, shops and dining. In addition, there are several care options, from independent living to memory care. Kelley & Kelley Nursery opened in Long Lake in 1922 and has offered lake-area residents plants and gardening advice ever since—that’s almost 100 years! Current owner Steve Kelley talked with us about his family’s green-thumb legacy and what it means to be part of the lake community. What is your favorite part about operating in Long Lake? It really does feel like a community. Though we no longer feel “in the country,” still the relative quiet and slow pace we’ve become used to are abundant. Everything we need is close at hand, yet hopping on 394 gets us downtown in a jiffy. Also, we appreciate getting to know local business folks, who treat us as friends….We really do operate as a small, family enterprise. The heritage of being located on the old family homestead gives us a down-home feeling, more like a garden than a garden center. Can you share a gardening tip with our readers? Patience: Don’t be too anxious to stomp around in the garden [this spring] before the soil is firmed up. Relax and enjoy the first delights of the emerging spring landscape before garden work begins in earnest. What can customers find at the nursery this time of year? Our woodland wildflower garden is quite entrancing in May. We grow many of our own perennials in the ground and will dig them at customers’ requests. Lake Minnetonka residents naturally seem happy and healthy, and these great facilities support the community’s holistic health and wellbeing, year round. The Lake Minnetonka LRT Regional Trail stretches along the south side of Lake Minnetonka, from Hopkins all the way to the southwest metro and Carver Park Reserve. We talked with Danny McCullough, regional trail system manager for Three Rivers Park District, who shared some lesser-known facts about the LRT. So grab your bike, your roller blades, your pup, your family—or even just your own two feet—and hit the trail. What’s the history of the trail? The trail follows an abandoned railroad right-of-way that was originally constructed in 1881…the railroad was founded by a group of prominent Minneapolis millers and lumbermen to ensure that wheat from southern and western Minnesota could be transported to the mills at St. Anthony Falls…The line also carried passengers to Lake Minnetonka’s grand hotels during the “golden age” of lakefront resorts. It opened to the public as a trail in 1994. Tell us about your favorite stretch of the trail. My favorite trip is riding the trail from Minnetonka City Hall to Carver Park Reserve, with a lunch stop in Excelsior, of course! Riding along Lake Minnetonka in Deephaven and Greenwood is very scenic. Where can people pick up the trail in our neck of the woods? The trail crosses many quiet neighborhood streets in Deephaven, Greenwood, Excelsior and Shorewood. Those are always good places to access by bike. There is public parking along the trail at Carson’s Bay in Deephaven if you need to get there by car. The Minnetonka City Hall area has good access to the trail, too. Where are locals heading to get a good workout? Steele Fitness on Water Street. Focusing on keeping personal training personal, general manager Joel Obermeyer says, “When we train with clients, we try to tailor it and correct any imbalances, follow up and work with their schedules to provide them with the best service possible.” Offering personal training and group fitness classes on clean, well-kept equipment, Steele Fitness in Excelsior is Lake Minnetonka’s favorite place to sweat. The staff at Lake Minnetonka Orthodontics understands that patients sometimes need immediate service. With three locations open with flexible hours, and four doctors able to treat all patients, they have the flexibility to schedule last-minute appointments without skimping on good service. “We really balance patient care and providing a top-notch clinical experience,” office manager Heidi Saleska says. One of the largest chiropractic clinics in the area, the Brost Clinic offers a number of different therapies and treatments. “We offer acupuncture, massage therapy, decompression and nutritional supplements,” Dr. Barbro Brost says. “Having everything under one roof makes it convenient for people to get the care they need.” Originally from Sweden, Dr. Brost brings a uniquely holistic approach to the table, and the Brost Clinic is celebrating 30 years of patient care this year. Whether you’re in need of eye care or eyewear, Art of Optiks has you covered. Owner and certified optician Stephanie Haenes started Art of Optiks 15 years ago with her husband. 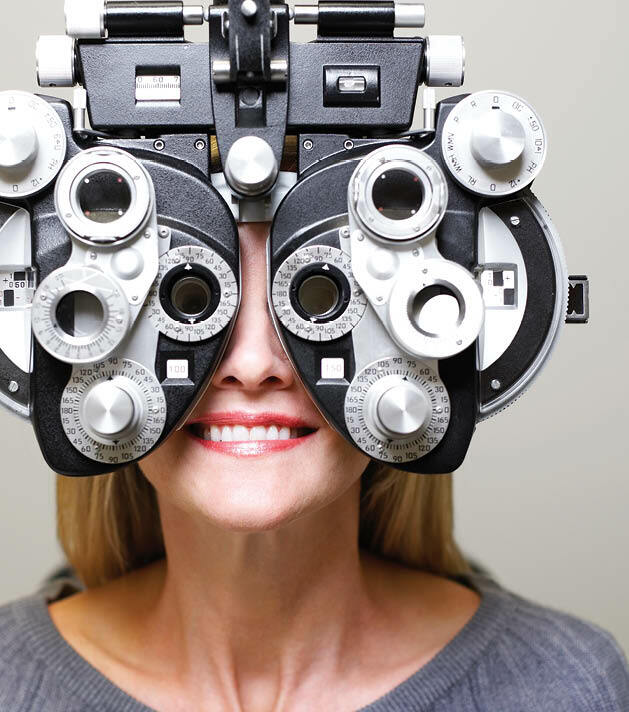 Now with three full-time doctors, and one great location on the lake, Art of Optiks is not only helping clients find fashionable frames, but they’re using cutting-edge technology for early detection of eye disease in clients. “We have a way of making people feel comfortable,” Haenes says, and as clients leave the shop, they can more clearly see the beautiful scenery that surrounds us. With a staff of board-certified dermatologists, Skin Care Doctors, P.A. focuses on fostering a professional but nurturing environment for patients. “We treat our patients like family; it’s a very positive atmosphere,” managing partner and president Dr. Michael Ebertz says. “We have patients from newborns to 104-year-olds, and everybody in between.” With doctors who specialize in clinical dermatology, surgical treatment of skin cancer and cosmetic dermatology, Skin Care Doctors, P.A., touches a wide range of specialties. When you’re in search of a little “wow” gift for a friend (or, ahem, an on-fleek outfit for yourself), it helps to have a few go-to stops in your shopping arsenal. These are your favorites: fun, local and staffed by friendly folks who’ll help make shopping a breeze. “We love to style our clients…in fun, realistic fashion you can wear every day,” says Merilou owner Keaton Frees. “Our vision was to focus on creating a warm, welcoming environment.” They carry so many designers—local ones and internationally known names alike—that we can’t even begin to list them here. Stop in and pick out a piece or a whole wardrobe that’ll put a little zing in your spring. They’re defending their 2015 Best of Lake Minnetonka title with an enduring focus on top-quality product and over-the-top creations. But when it comes to the Battle of the Buds against fellow florists in the lake area, new co-owner Lesa Fenwich swears, “We’re all friends! It’s a friendly competition. We’ll be sitting at the awards ceremony in solidarity.” We think that’s nice. Looking for a unique antique piece? A modern bauble? A custom creation using a unique metal or an heirloom stone? Graham Jewelers stocks pieces ranging from $50 to over $250,000; they’ll take care of jewelry repair and restoration; and they even have a full studio onsite for design and maintenance. “There’s something for everyone, at every budget,” says owner Chris Graham. There’s no place you’d rather go to pick up a six-pack of local brews, cocktail fixings, or a bottle of bubbly. 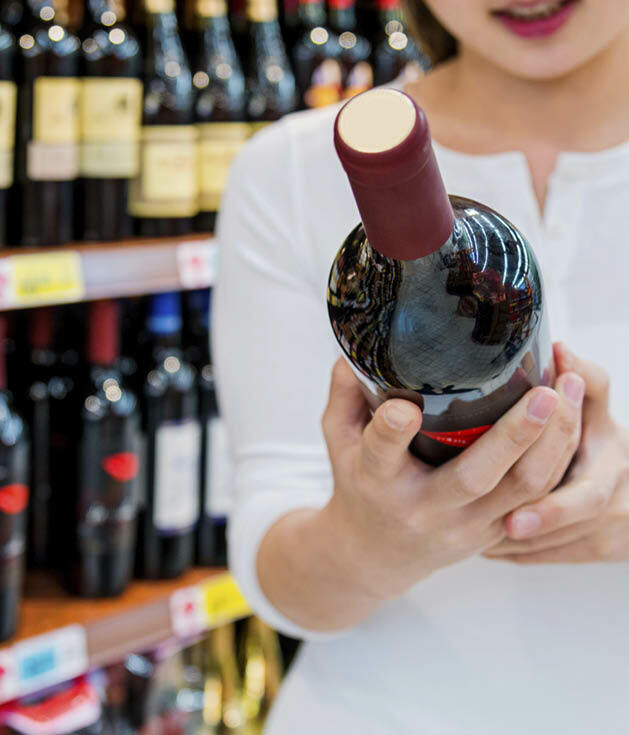 They have a large selection of fine imported wines—Bordeaux, Rhone, upper-end California wines—from $3 a bottle and up, says store manager Patrick Brennan. There’s even a loyalty program that’ll earn you sweet discounts. Yes, Kowalski’s is a grocery store. But it doubles as a restaurant or a veritable savior in case of a looming last-minute dinner party. The best part? You can take care of it all in one cart. “We go above and beyond to make sure every customer is very happy. 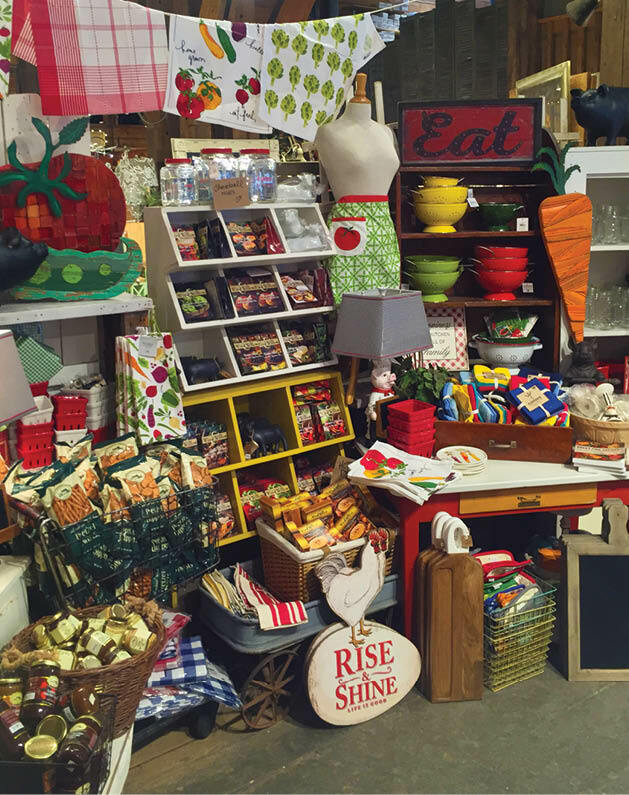 We pack a lot of variety into a small space,” says store manager Max Maddaus. They’ve got a fresh-carved sandwich station, a pasta bar, meat counter with fresh seafood and…is anyone else getting hungry? At the Minnetonka Center for the Arts, you can view stunning works of art, participate in workshops, and take classes in a wide variety of mediums and techniques. There’s even a gift shop and a café. Roxanne Heaton, executive director, tells us more about our favorite local place for getting creative. How has the Minnetonka Center for the Arts evolved since its beginning? In 1952, a small group of visionary “ladies of the lake” incorporated the center with a desire to create a home for art making in the western suburbs. More than 60 years later, our mission remains to make the visual arts accessible, to provide high-quality arts experiences for all ages, interests and abilities. 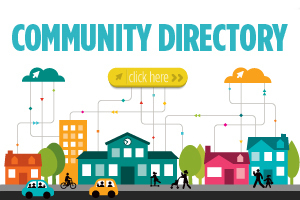 How do local artists get involved with the center? With an average of 500 on-site and dozens more outreach arts classes a year, the center provides income for more than 100 teaching artists each year. Our exhibits program offers…opportunities for exhibition and artwork sales, and many open calls inviting local and regional artists to participate. If you had to choose one favorite program, what would it be? I do love when our summer arts camp fills the art center with the boundless energy and creativity of children ages 5 to 15. It’s also extremely satisfying that our outreach program delivers art experiences to…children and families living on the economic edge, seniors with memory loss, and adults and children with developmental or physical challenges. Sometimes it takes a village to keep a family running: from our preschool teachers to our dance coaches to our doggy daycare providers—we say kudos to these winners who keep our kids, our pets and ourselves happy and healthy. On 38 acres—including 24,000 square feet of outdoor play space with a heated pool—Top Dog has one staff person for every eight furry guests. 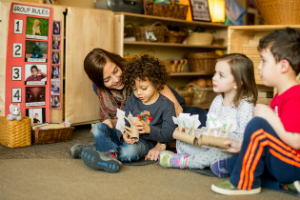 “That’s unheard of in the industry and greater than even human daycare centers,” says owner Jean Beuning. Your dog (all breeds welcome) will have five to six hours of playtime each day and get loads of one-on-one attention. From “Yappy Hour” bedtime biscuits to photography and grooming available onsite, it’ll truly be a vacation for Fido while you’re away. Whether you’re in search of routine vaccinations and nail trimmings, or care for an unexpected illness or injury, Westonka is the place to go. Take advantage of their extended evening and weekend hours, and you’ll be able to scoot from a conference call to the gym to Fifi’s heartworm test in two shakes of a dog’s tail. Can we get a “woof” for that? Pet-a-Cures are just one of the luxurious services offered at LuLu and Luigi. And while a blueberry facial might sound over the top—even for a person—the antioxidants will naturally get rid of unsightly tear stains on fair-colored dogs. “We’re all dog people here,” says manager Katy Flynn, mom to fur babies Hazel and Jovi. “We have a very intimate atmosphere and we’re focused on every dog that comes in.” Book those nail trims, ear cleanings and dental cleanings—and maybe throw in a temporary tattoo or pink fur highlights for a special occasion. For both kids and adults, private music lessons can be difficult to access—because of cost, scheduling, or other barriers. To keep things in tune, Minnetonka Music Academy offers an incredibly accessible alternative for music students of all ages. The academy is a program of Minnetonka Community Education, and it offers private music lessons for all ages; before- and after-school music activities for kids; summer lessons in Chinese for students in the district’s Chinese immersion program; classes for pre-school kids and adults; and much more. Program manager Amber Yang tells us more about the academy. What is the mission of Minnetonka Music Academy? We believe music is essential to our lives. Music is the language of emotions, as it allows us to express feelings beyond words. We love to share our experience in learning and performing, and feel truly honored to be a part of anyone’s musical journey. What are some of the academy’s offerings? We work closely with all elementary, middle and high schools in the Minnetonka Public School District to design curriculum and offer programs to support music education. Our offerings include private music lessons in piano, voice, guitar, and band and orchestra instruments; band and orchestra programs at the end of the summer to prepare beginning elementary band and orchestra students for the start of the school year; and Tonka band and orchestra camps for incoming middle school students. We encourage adult students to try any of the daytime, eight-week lessons to enjoy seasonal music. It’s never too late! We all need those experts who will give us good hair days, financial peace of mind, and—yes—a deep tissue massage or facial every now and then. Look no further. “I love making people feel good about themselves,” says Mackenzie. 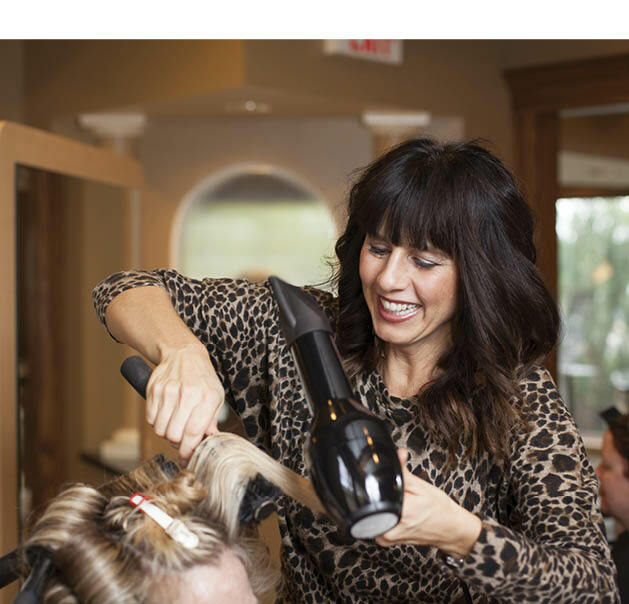 With almost 20 years of advanced training, and clients who have walked the runway at New York Fashion Week, it’d be easy to assume her niche is high-fashion, ultra-trendy ‘dos. But Mackenzie focuses on getting to know her unique clients and what truly makes them feel best about themselves—with or without a red carpet. “It’s about wearable hair; not a ton of maintenance,” she says. Amen to that! Rebecca Hopf knows that just like no two people are alike, there’s no one-size-fits-all approach to financial planning. For Hopf, every client relationship begins with an honest conversation about life stage, individual goals, and needs. Check out her website for handy calculators that’ll help you project your anticipated retirement income needs, IRA conversion costs, debt payoff schedules and more. Chad Babcock is involved with the Excelsior-Lake Minnetonka Chamber of Commerce, supports a number of local organizations, and is truly a neighbor to his clients. His approach to life—and business—is three-fold: “Be personal. Be a good neighbor. Differentiate,” he says. Cindy Leines is the founder and CEO of CEL (which stands for “creative, effective and lasting”), a local marketing and design firm. In addition to her high-powered day job, Leines gives back to the community where she does business—a commitment that earned her recognition as the Greater Wayzata Area Chamber of Commerce’s Person of the Year in 2015. Among many other things, Leines has been involved with the Wayzata Rotary Club, Wayzata Public Schools and the Wayzata Citizens Financial Advisory Council (just to name a few); coached basketball; served as children’s music pianist at St. Philip the Deacon Lutheran Church; and created the first Wayzata Art Experience. Her husband Darrell is also heavily involved in the community, including with Wayzata Public Schools, and their kids—Chelsea and Chad—both graduated from Wayzata High School. We asked Leines about her inspiration for volunteering, and what makes the Lake Minnetonka area so special. How did it feel to be named Person of the Year? It was an incredible honor and privilege. There are many people who give of their time and talents behind the scenes. The stories and memories shared at the [award] event were all reminders of the growth and challenges that have occurred over the years. Most of all, I was reminded of how truly grateful I am for all who have contributed to our company’s growth and to the community we call home. Being involved in the communities in which I live and work is a part of who I am, and my parents were my example…The people in the Lake Minnetonka area make the difference.